There’s something about trees, isn’t there, that evokes emotions? Is it their stature, their longevity, their solidity? The willows, sycamores, chestnuts and oaks of my childhood are replaced here by holm oak, poplars and pine trees. 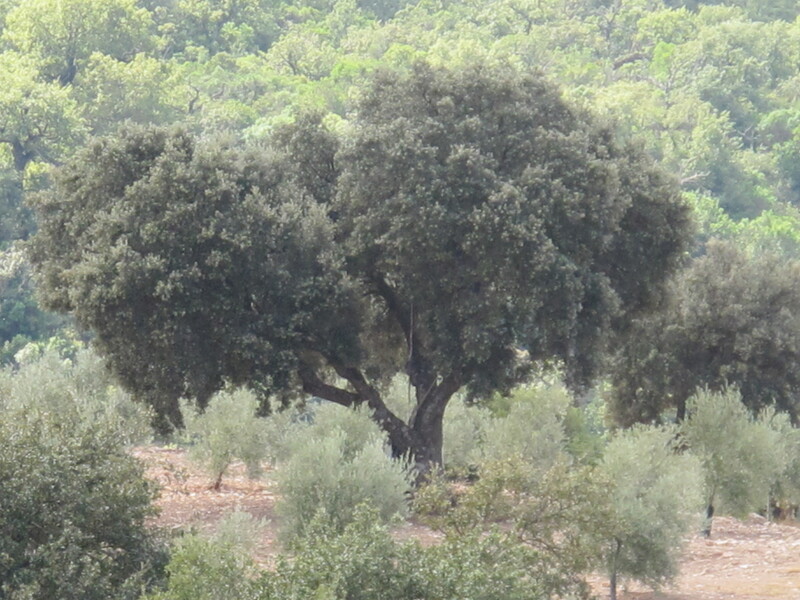 Oak trees once covered the whole of Andalucía. That’s why they still seem to be everywhere. 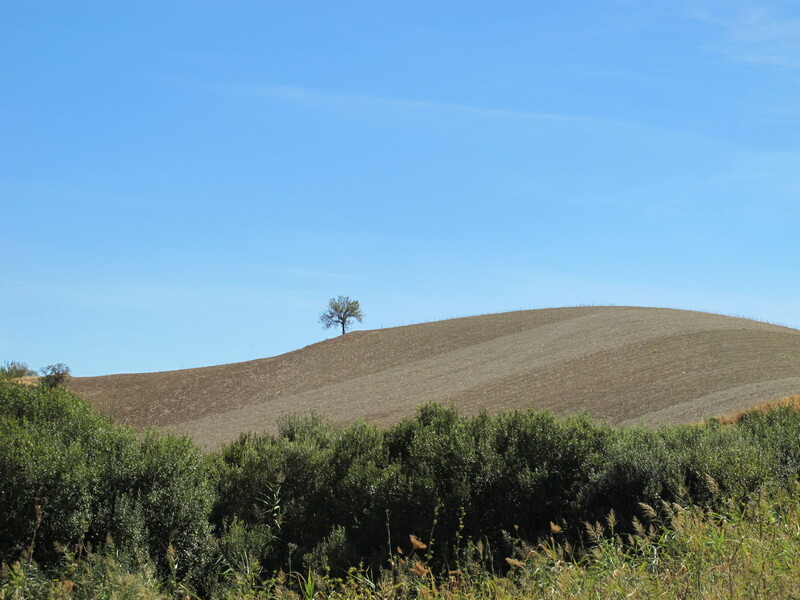 This oak [below] stands alone amid the autumn fields, looking towards the Sierra de las Nieves. 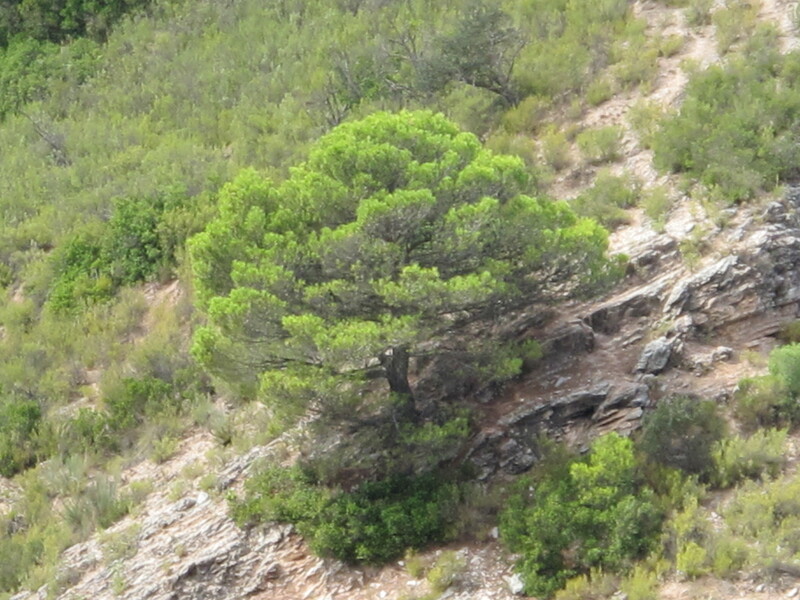 This solitary holm oak [below] stands amidst the olives in Hermano’s land on the hillside opposite our house. 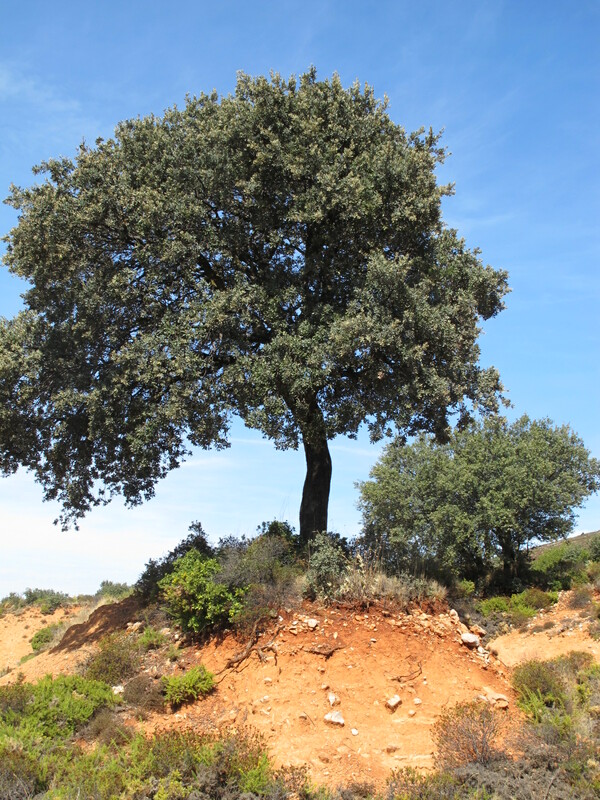 Outside the village, this oak [below] stands alone on a ridge of red soil beside the road. Pine trees grow here too, as we are so high, a welcome shot of green throughout the leafless winter. Farmers respect trees, in fact they are legally bound to protect oak trees and so plough around them [below]. The land around here is worked hard, crop after crop. 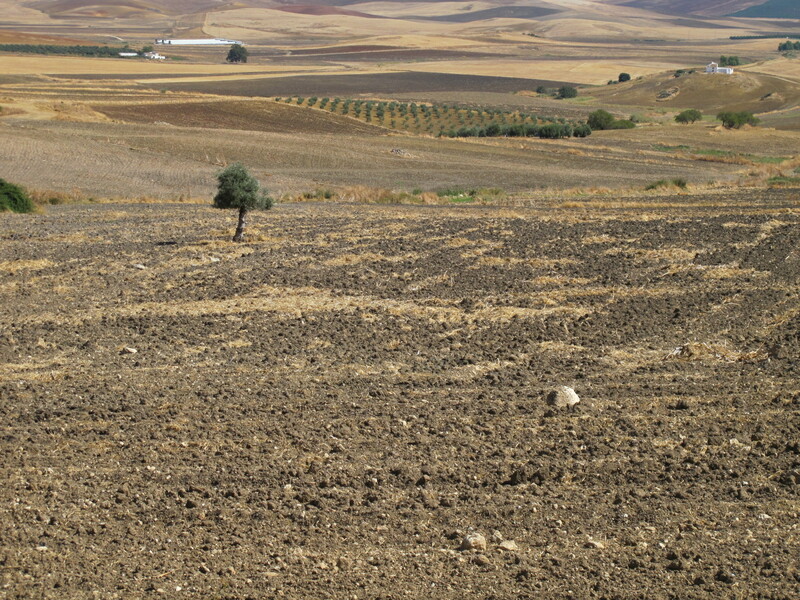 This newly-ploughed field [below] awaits drilling with seed for the winter crop. A tree stands alone. This entry was posted in Nature and tagged Andalucia, photography, Sandra Danby, Spain, travel, trees on November 15, 2013 by sandradan1. Nice post. 🙂 trees do evoke emotions. 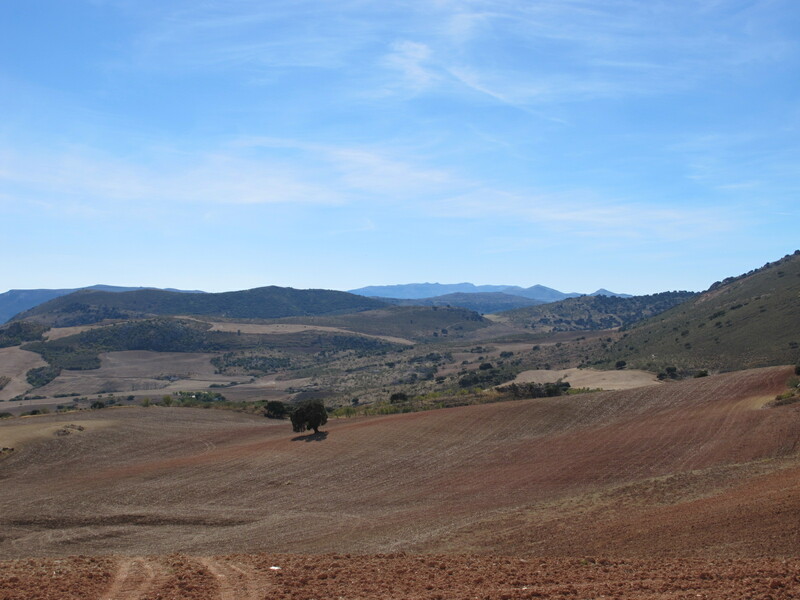 I love to walk the hills and mountains of Spain, just back from Extremadura which is a great province for trees and nature.